Do you shop before a trip? That really depends on where I go. If it's something specific, like a ski trip or hiking trip, I do. But India? I've been debating and telling myself that I don't need to buy anything! I've got a closet full of gypsy clothes to wear, because that's all I wear. But that's not going to stop me! A few updates to add to my current collection won't hurt right? HA. More then clothes I'm in the market to buy new shoes. 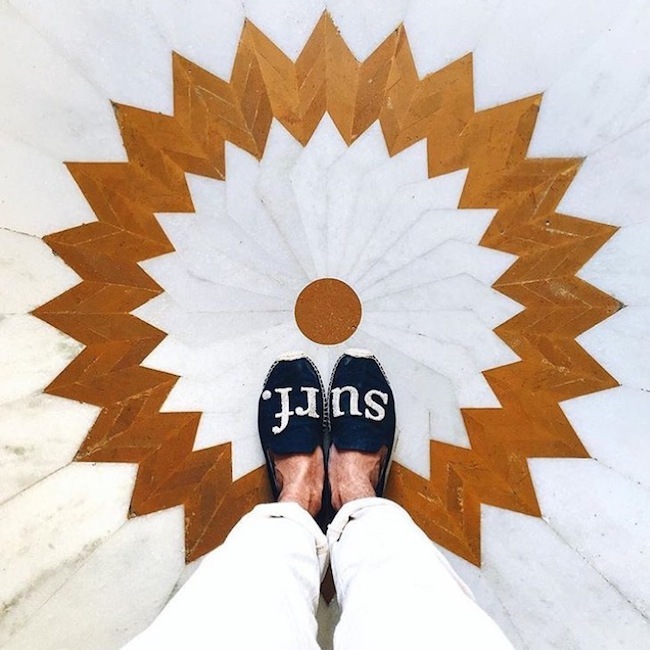 I realize (and you probably do notice it too) looking at my Instagram feed @ispycandyblog that since last summer I've been constantly wearing the same shoes in all my #ihavethisthingwithfloors photos. Either my Aquazurra sandals or my white sneakers. Like I don't have any other shoes? I do, but I pack very light when I travel and only allow myself to bring 2-3 pairs of shoes. 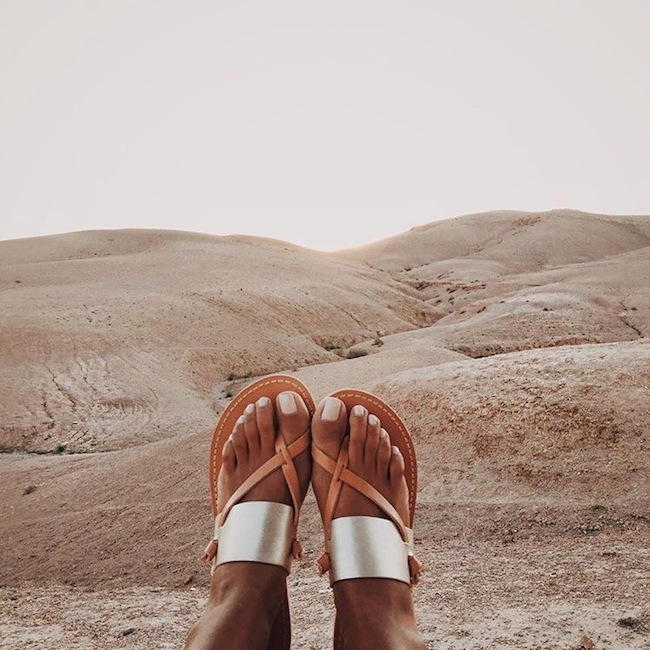 Those two pairs work with everything, are practical, and comfy, which is why they constantly tag along on every trip. But time to switch it up! 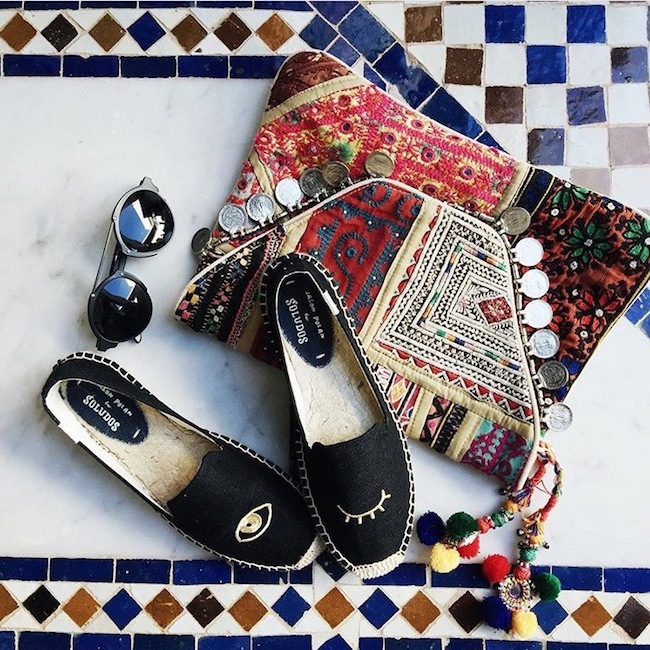 Perfect timing because Soludos is currently in India doing a photo shoot. I've been following them on Instagram and enjoying their photos. They're getting me even more pumped up for India! I can't wait to see these floors. AHHH. Want to wink back at me? Look at this fun pair. Aren't they cute? They look like my phone case! I might have to go back and get these. Added to my crush list!